Mike grew up in southern Maryland and worked in restaurants prior to and while attending culinary school in Annapolis. Mike continued his education at the Culinary Institute of America at Greystone in St. Helena, California. Upon graduation he completed a six month stage at the Michelin starred Capo D’Orso restaurant in Maiori, Italy. When Mike returned to the United States, he moved to Lake Tahoe where he was the Chef de Partie at Wild Goose and then worked at Martini House in St. Helena. 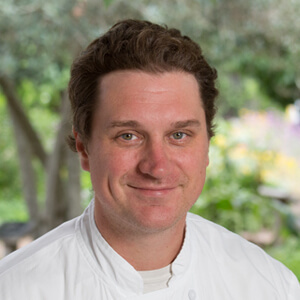 Mike then moved to Sonoma County to be the Sous Chef at Michelin starred Madrona Manor and then went to San Francisco to be the Chef de Cuisine of Baker and Banker. Mike is currently the Chef of Gran Moraine Winery.